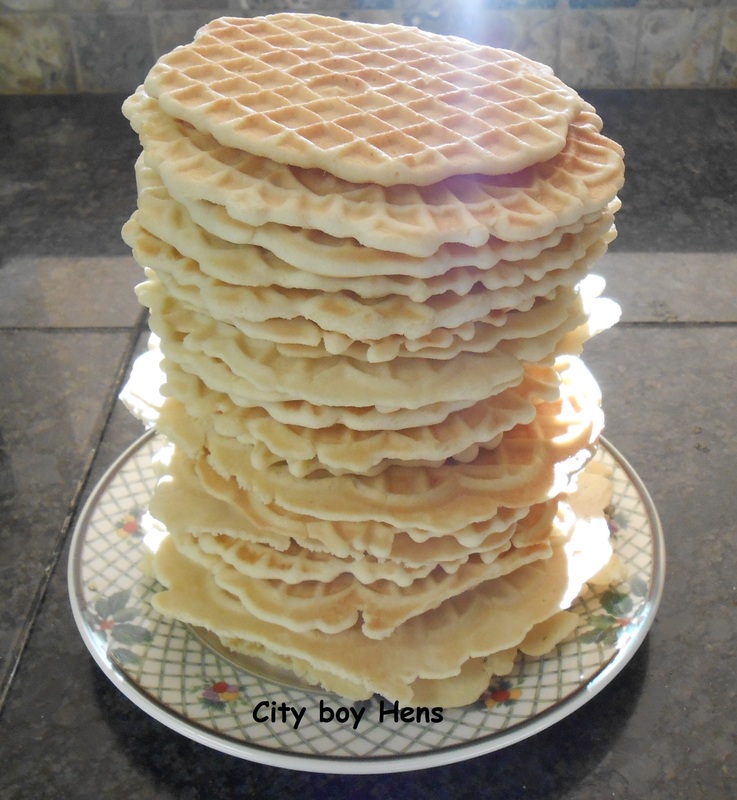 Pizzelle are a traditional waffle cookie that are made at Christmas, Easter and other special occasions. Around here, there doesn’t need to have a special occasion to enjoy them! The recipe that I follow was handed down from my Prozia (Great-Aunt) Alma. Her pizzelle always had an anise flavor. If you do not like the taste of anise, than substitute with more likeable flavours. In the past, I have substituted the anise for almond extract, vanilla extract, the zest of one lemon or orange, or 1/3 cup of coco powder. 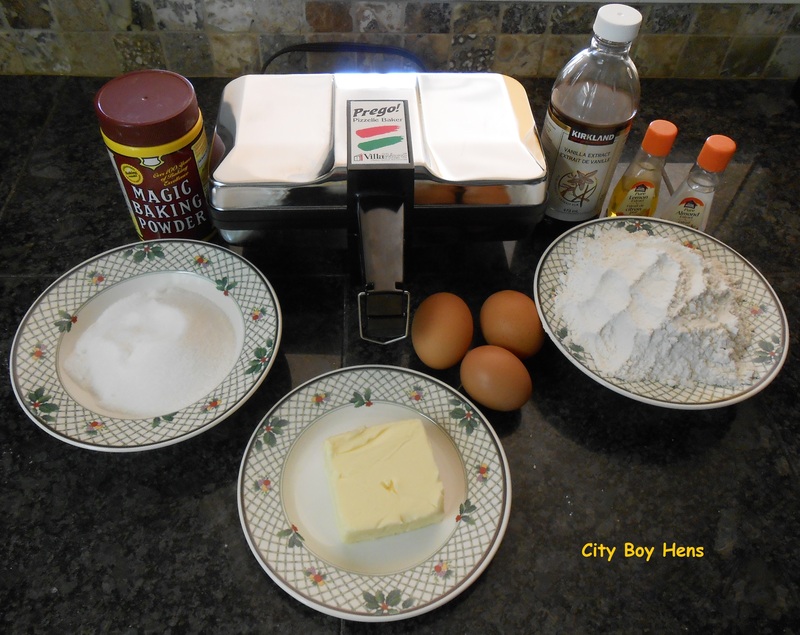 Note: Make sure to decrease flour by 1/3 cup if you add the coco powder. Whenever I make these cookies , I am always reminded of Prozia’s kindness, trips to their cottage as a boy, and the taste of her pan-fried zucchini in egg batter. Beat eggs and sugar together. Add cooled melted butter and anise extract. 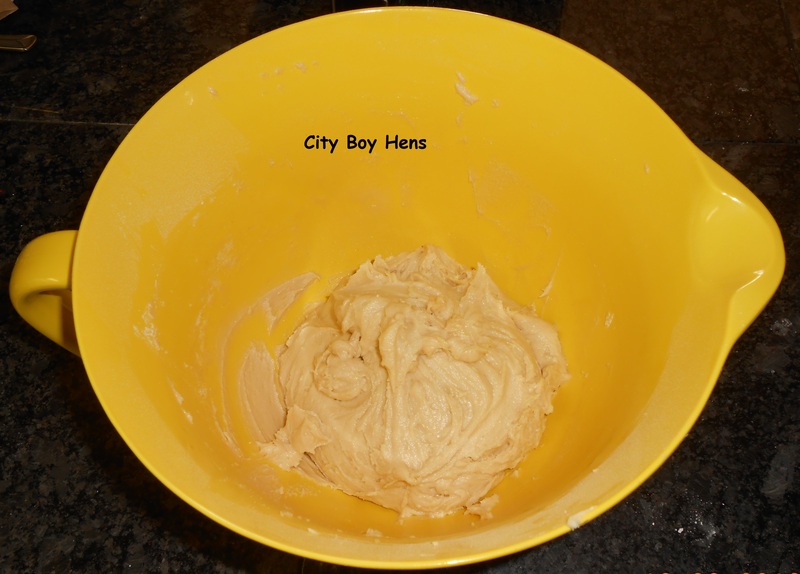 Sift flour and baking powder and slowly add to wet ingredients. Batter should be stiff enough that it will stick to a spoon. Collect 1 tbsp. 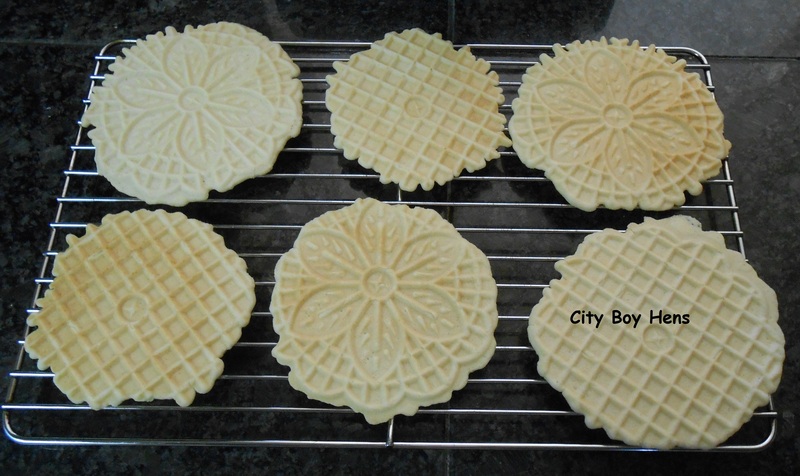 of batter and place it slightly back from the center of each pizzelle mold. You may have to experiment a bit with quantity and placement. 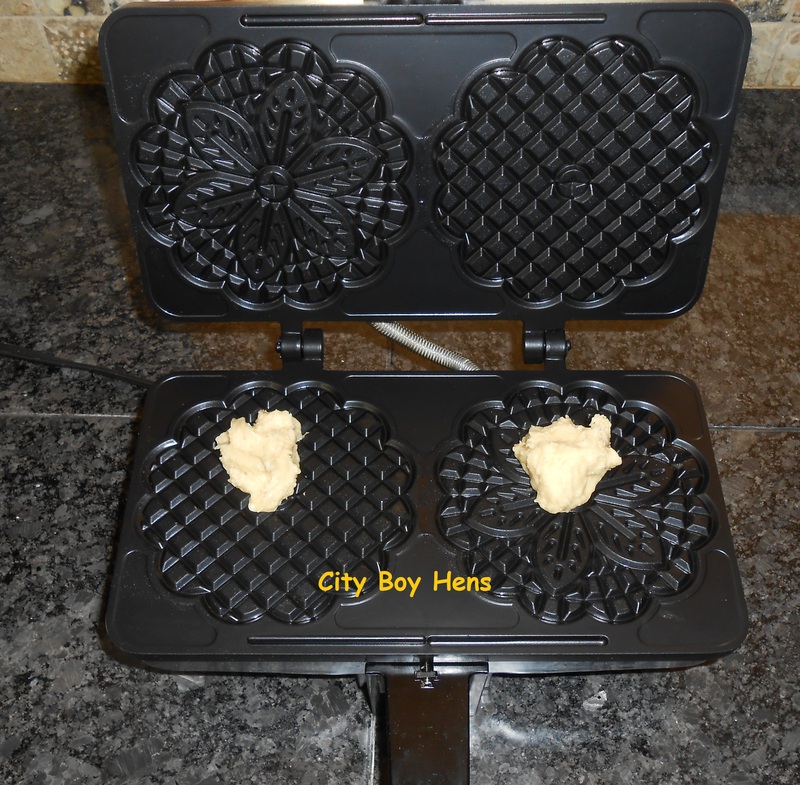 If the batter oozes out of the press, than you have put on too much. Just slightly back from center. Close the iron and clamp the handles together. 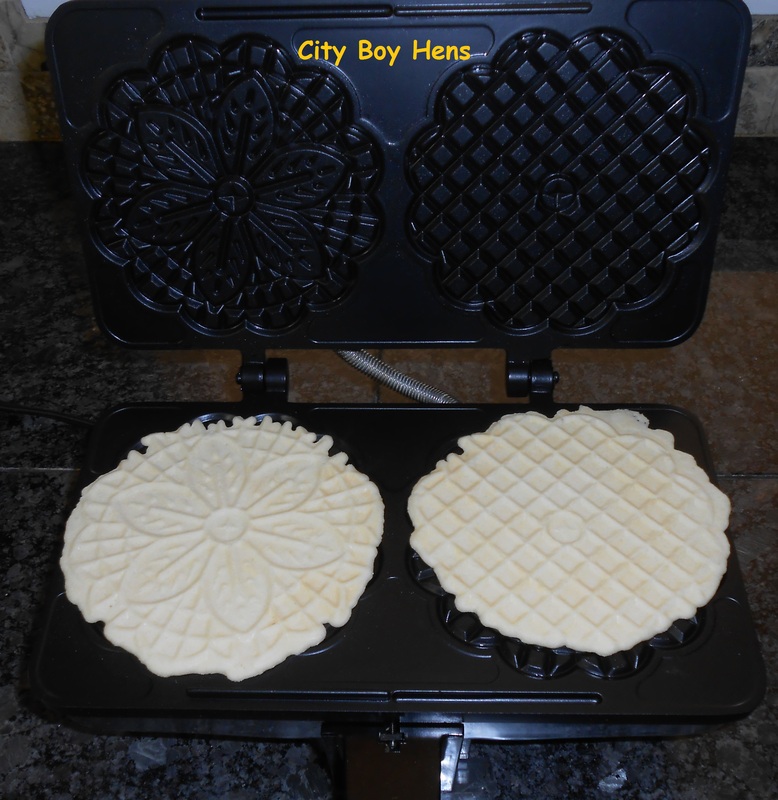 Baking will take approximately 30 seconds depending on how dark and crisp you like your pizzelles. We prefer a lighter and softer texture. Remove pizzelles from the iron and cool on a rack. Enjoy!